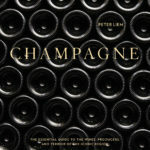 In his highly-anticipated book, Champagne: The Essential Guide to the Wines, Producers, and Terroirs of the Iconic Region, Peter Liem profiles the famous region and its wines by examining the varied terroirs that make these sparkling wines among the most iconic the world over. 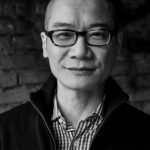 Liem, co-founder of La Fête du Champagne and creator of ChampagneGuide.net, showcases the people and the places that create these stunning wines. In the book, Liem turns his attention to yet another Champagne estate we represent, Gonet-Médeville. Below is an excerpt from this upcoming book, which will be released on October 10, 2017. 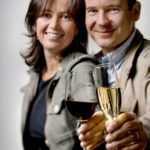 Xavier Gonet comes from a long-established family of winegrowers in Le Mesnil-sur-Oger, while his wife, Julie Médeville, is from Bordeaux, where her family owns a number of properties including Château Gilette in Sauternes and Château Respide-Médeville in Graves. Together, they created the Gonet-Médeville estate in 2000, building a new winery in the village of Bisseuil. Half of their 25 acres (10 hectares) are in Bisseuil, with the rest in both the Côte des Blancs and Montagne de Reims. Much of the harvest is vinified in barrel, which contributes to the stylish, elegant texture of Gonet-Médeville’s wines, complementing their ripe fruit. The nonvintage Tradition is based on chardonnay from Bisseuil, which is rounder and more accessible than that of the Côte des Blancs; here it’s blended with pinot noir and meunier to create a fresh, inviting wine. Also based on Bisseuil is the delicious Blanc de Noirs, a vividly fragrant and suavely textured example of pinot noir. Not to be missed, too, is Gonet-Médeville’s lovely, subtly nuanced Extra Brut Rosé, based largely on chardonnay from Le Mesnil-sur-Oger and colored with red wine from Ambonnay. Even more expressive of Le Mesnil is the single-vineyard champagne from Champ d’Alouette, a richly concentrated yet tensely focused blanc de blancs. Its single-vineyard pinot noir counterpart is from La Grande Ruelle in Ambonnay, which demonstrates an ample depth of ripe fruit and an intense, complex minerality. The two vineyards are combined to create the detailed and impeccably polished Cuvée Théophile. CREDIT: Reprinted with permission from Champagne: The Essential Guide to the Wines, Producers, and Terroir of the Iconic Region, copyright 2017 by Peter Liem. Published by Ten Speed Press, an imprint of Penguin Random House LLC.